In today’s competitive world, where every business no matter how big or small it may be, wants to be in the race of outdoing its competitors. In such a world, search engine optimization truly acts as a blessing in disguise. In the world of digital marketing, you can actually dominate and make viewers see what you would them to view. This is exactly what is done in SEO, which is an abbreviation of ‘Search Engine Optimization’. This post will help you gain a perspective on the latest innovations in the field of SEO. Search engines literally give people answers to all the questions which they may be looking for and it is because of this that search engines like Google, Yahoo, MSN are so popular among the people. Considering how dynamic and ever evolving the field of digital marketing is, the recent years have seen some impressive changes in SEO making it more competitive. Usually what business enterprises used to do was to pay search engines like Google etc to list their ad on top or ahead of their competitors’ listings. However, recently this trend has observed a drastic shift. For instance, if a website has heavy traffic i.e. if majority of the population are all viewing the same listing on day 1, then day2 there will absolutely no visitors to the website or web page. However, before you start doubting whether the search engine has done something internally and changed the settings, you need to get in touch either with the contents team or the QA team which updates your website regularly so that you don’t miss the top spot. In such a situation, it is always recommended that you thoroughly check the data on your website or web page particularly sections like the search console or take a close view of the pages which have seen a sudden decline of traffic. This may help you in understanding why the traffic to your website must have dropped. Get hold of some tools! Believe it or not, but in the world of SEO, there do exists some tools which will help you evaluate and assess the probable reasons why your website may be facing a low turnaround. Tools like Serpwatch, SerpWoo, Ayima, AccuRanker, RankRanger etc are some of the top tools which can help and guide you to improvise your current website so that you get good traffic. One pertinent thing to not here is that traffic also depends heavily upon the nature of business you carry on. For instance, websites pertaining to sports have a very fluctuating traffic trend. So understand how things in your business typically work. Give them what they want and keep them happy! According to the companies or agencies providing SEO services in Delhi, one of the very common ways and means to have a strong and loyal customer base for your products is to understand the taste and requirements of your end consumers and to give them exactly what they want! Once you do that customers automatically prefer dealing with you. This is true even in case of digital marketing. If you understand and give your customers answers to the questions they may be looking for, then they will always make it a point to come to you or visit your web page. If you follow the EAT principle, which stands for Experience, Authority and Trust, then you will be able to maintain the traffic on your website. 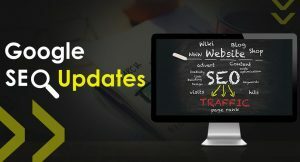 Although there are various tools by which you can help control and boost the traffic to your website, nevertheless, one major thing which SEO consultants in Delhi always tell website owners is to always is to always keep on changing and updating the content on their website. This is because when they do that their website will automatically get the traffic which they’ve always desired and for which they must have paid hefty fees to the search engine. brandhype is one of the leading SEO company in Delhi which not only helps clients developing content which will attract heavy traffic to your website, but will also help and guide you on how to improvise it even better. No doubt this company is considered to be the best SEO Company in Delhi. So stay smart to stay on top!